Running with the Herd is a Villages Charter School PRIDE (Partners Responsible in Developing Education) fundraiser for the Buffalo Scholarship Foundation. Come join us on January 26, 2019 for our 5k race. The 5k race will start at 8:00am at The Villages High School football field and will take you through the campus where on-site entertainment will be provided by various groups from the charter school. At 7:45am the 100 Meter Kids Dash will take place and the 1 Mile Tween run will start at 8:15am. Participants in the 5k will receive a Running with the Herd 5K finishers medal and t-shirt. Awards will be handed out for the top finishers in each age group as well as overall. How do I register for the Running with the Herd 5k? Participants can register by going to the https://runningwiththeherd5k.com website and clicking on the registration link. Registration will also be available the day of the race at 6:30am. The 5k and 1 mile race will be chip timed. We will also have people at the 1 and 2 mile mark calling out split times. The 100 Meter Kids run will not be timed. Will there be water stops during the race? There will be 2 water stops along the race shortly after the 1 and 2 mile marks. Race packets can be picked up at the day prior to the race from 11:00am to 4:00pm at Lauren Manor Recreation Center, 1985 Laurel Manor Drive, The Villages, FL 32162. 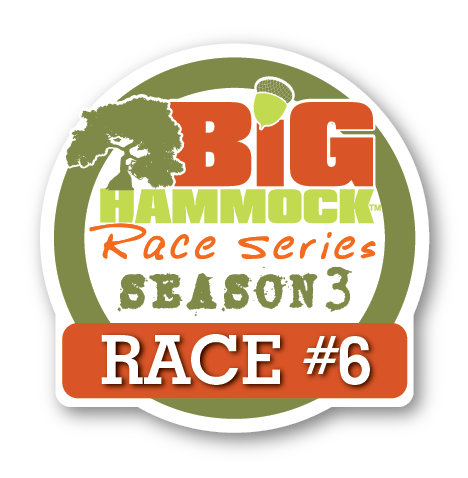 Packet pickup will also be available a the of the race starting at 7:00am. Yes. Make sure the person picking up your packet has your first and last name along with your registration number. They can also pick up the packets for other runners under your registration. Waivers can be downloaded and emailed back to us prior to pickup of race packets or they can be dropped off at time of packet pickup. Packets will not be handed out if we do not have a signed waiver for that participant. I can’t make it. Can I transfer to registration to someone else or get a refund? We are sorry that you are not able to make it to the race. Unfortunatelly we can not offer refunds or transfers of registration. Will I receive a T-Shirt and Finisher Medal? If you register prior to January 1st, you will be guaranteed a t-shirt in the size you select. We order extra t-shirts in a variety of sizes but can not guarantee the availability of t-shirts for runners who register after January 1st. Every registered runner will receive a finisher medal. The race starts at 8:00am. We recommend arriving no later than 7:45 if you already have your packet, or 7:15 if you need to pick up your packet. There are two parking lots available on either side (East and West) of The Villages Charter High School. There is a back parking lot as well but this will not be open to parking as the race will go through this parking lot. Can I walk with the Herd? YES! You can run, walk, or skip the entire 3.1 mile loop. As some portions of the course are narrow, we ask that if you are going to walk you start at the back of the corral to allow runners to maintain their pace. No. Because of the venue, we are not permitting dogs or pets at the race. I have young children, can I run with a stroller? YES! For the safety of your child and other runners, strollers will start at the back of the race. Only registered runners with an official bib will receive a finisher medal. Children will not receive medals if they are not registered to run. Yes! We will have awards for each age group as well as overall. Participants will be limited to one award (Ex: 1st place overall winner will not get 1st place for their age group). Yes. The Villages Charter School campus is a drug and tobacco free zone. Participants or guest who show up intoxicated or use tabacco on campus will be asked to leave.